Calling all princesses! 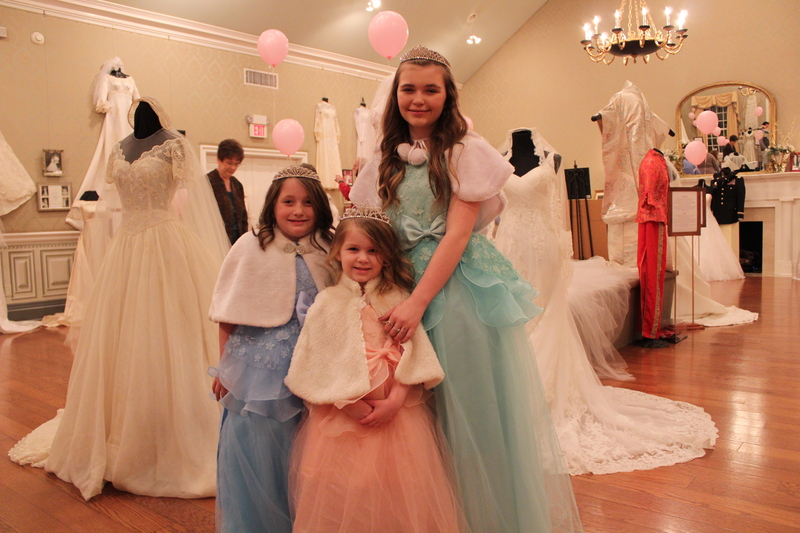 What a better way to be a princess than to be surrounded by princess dresses. Wear your favorite dress or princess costume to the exhibit on February 9, 2019. Tickets are $10 per person with ages 5 and under free. Tickets can be pre-purchased at www.oaklandsmansion.org. Stories of our community will come to life through wedding gowns on display at Oaklands Mansion, where every dress tells a love story. Step back into time and experience the common threads that weave together the lives of women as we explore women’s history, fashion history, cultural history and the history of our community. Over fifty gowns have been placed on loan and exhibited, most for the first time. The “Wedding Dresses Through the Decades” exhibit in Maney Hall at Oaklands Mansion takes place from January 19 through March 3, 2019. Princess Day on February 9th in the exhibit is open from 10:00 a.m.-4:00 p.m. and is a come-and-go event. Tickets include admission to the wedding dress exhibit and princess crafts. The Wedding Dresses Through the Decades Exhibit is sponsored in part by the Human Sciences Department of Middle Tennessee State University, Chelsea Place Apartments and Karen Whitaker with Ruby Ribbon. Tickets can be purchased online at oaklandsmansion.org. For more information, contact Mary Beth Nevills at Oaklands (615) 893-0022 or email mb@oaklandsmansion.org.